If you’re caring for elders near Memphis , you need to take some precautions to ensure that they are safe, happy, and healthy. Falls are the most common cause of injury and death among the elderly. Here are some of the ways that caregivers can modify their in-home care to reduce the risk of falls among seniors. 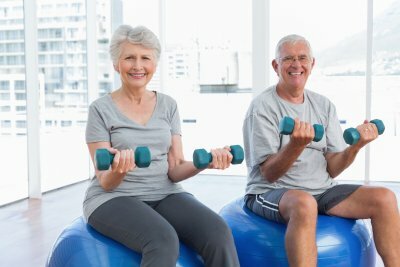 As you age, you begin to lose muscle mass and strength, and bones can become brittle and weak. This puts you at a much higher risk of tripping and falling. As a caregiver, you can reduce your elderly loved one’s risk of a fall by ensuring that he maintains a regular physical activity routine. If possible, your loved one should engage in physical activity for at least 20 minutes per day. This can improve muscle tone, strength, balance, coordination, and flexibility, which makes a fall much less likely. If you’re providing in-home care for a loved one, you must make sure that the home is safe and free from hazards. The primary walkways should be clear of furniture, boxes, cords, and other dangerous items. Rugs should be completely secured with tape, tacks, or slip-resistant backing. If rugs cannot be secured, they should be removed. Damage to carpeting and flooring should be repaired immediately. Bathtubs and showers should be equipped with handrails, non-slip mats, and seating. Necessities should be stored within easy reach so that your loved one doesn’t have to use a stool or chair to access them. Any spills on the floor or walkways should be cleaned up immediately. When caring for elders, you may have to communicate with their physicians to determine whether they have health problems that increase their risk of a fall. If he does, he may need to use assistive devices throughout the home to improve his mobility. These devices may include handrails, non-slip treads, canes, walkers, scooters, grab bars for the shower or tub, a raised toilet seat with armrests, and a sturdy seat for the shower or tub. There are many reasons why your loved one may need to transition to a new elder care provider. His or her current caregiver may be moving away or your loved one’s needs may change , for example. If your loved one’s caregiver agency near Memphis notifies him or her that a new caregiver will be assisting him or her, your loved one may need some time to adjust to the new arrangement. Ideally, your loved one will know of the transition well in advance. You can reassure your loved one that the new in-home care provider will be just as kind, compassionate, and competent in providing elder care as the previous caregiver. If possible, it can be helpful to introduce your loved one to the new elder care provider before the transition occurs. 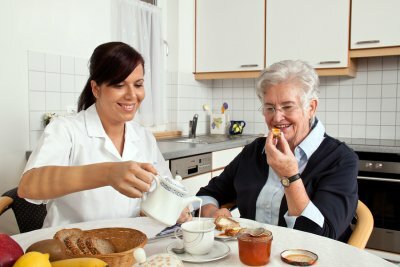 The two caregivers can spend some time together with your loved one to help the new caregiver learn about your loved one’s preferences, routines, and needs. This also allows your loved one to feel more comfortable with the new caregiver and to begin to form a new emotional attachment. If you have an elderly loved one who is in need of in-home care near Memphis , you may need to help him adjust to the idea of using a caregiver or home health aide. Using an in-home caregiver allows your loved one to remain in the comfort of his own home, rather than moving into a senior assisted living facility or nursing home. Here are some tips for helping seniors adjust to in-home care from a caregiver. Your loved one may have a lot of feelings and concerns to discuss with you regarding in-home care from a home health aide. You should be patient with your loved one, and directly address all of his concerns. You may even want to consult with a counselor or therapist who has experience caring for elders. He or she can help you mediate and calm your loved one’s anxiety or fear. Your loved one will feel much better about home health care if he feels that his feeling are being acknowledged and addressed. Once you hire a home health aide, your role as a primary caregiver will change. You should be sure that your loved one understands how certain duties will be divided between you and the new in-home caregiver. Your loved one may feel more comfortable if you perform certain tasks, rather than the caregiver, until he gets to know his caregiver better. You will most likely remain the mediator between your loved one and the caregiver for a period of time as they both adjust. Before the in-home caregiver’s first day, you and your loved one should prepare his home for the visit. Your loved one may want to rearrange certain things to maintain his privacy, and may want to designate some rooms or areas of the home as off-limits to the caregiver. You should also make sure that any items that the caregiver needs are easily accessible. As your loved one grows older, it’s a good idea to assess his or her home for potential safety hazards. Consider visiting a caregiver agency near Memphis to discuss your loved one’s elderly care needs. A home health aide can help you make your loved one’s home safer by pointing out areas that need better lighting or by recommending modifications to the bathroom. For instance, placing red and blue buttons on the hot and cold water faucets can prevent scalding injuries. The caregiver may also recommend making sure the bathroom lock can be disengaged from other side, just in case your loved one experiences an emergency and needs help. Watch this video for more helpful tips on elder care and home safety. It reminds family members of the importance of keeping smoke and carbon monoxide alarms in good working condition and of keeping a fire extinguisher in the kitchen.